One of the highest priorities we can have in American society is the safety and protection of children - and the men and women who teach them. From February 27 to March 9, 2018 Professional Educators of Tennessee surveyed 1403 educators across Tennessee. Ninety-seven percent listed their role as being a current educator, while 3% reported being retired educators. There is a wealth of information in the nearly 850 comments that educators thoughtfully provided. We appreciate the educators who took the time to provide diverse thoughts and responses. 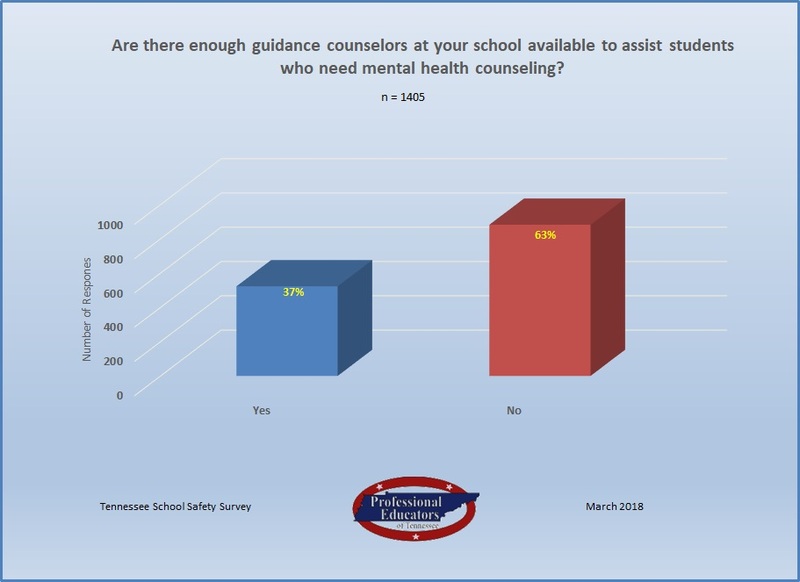 Open-ended responses showed strong support for increased focus on student mental health, and lower school-counselor ratios were mentioned frequently. 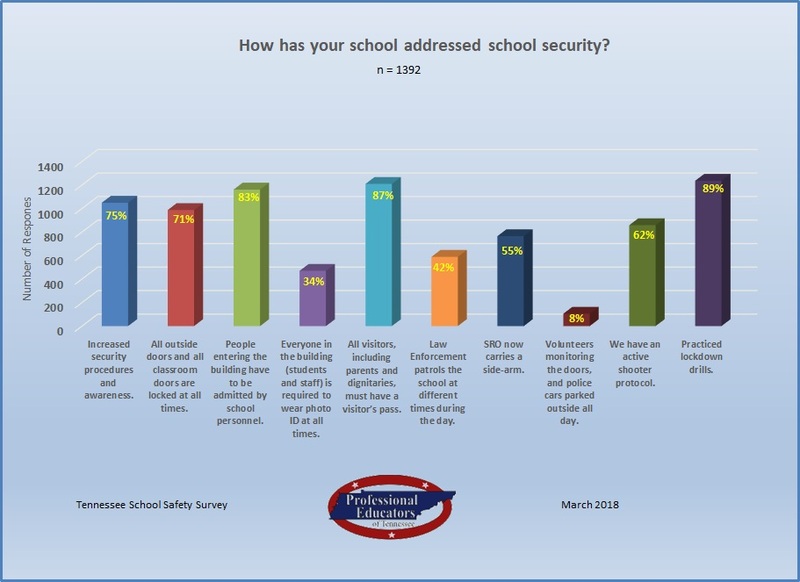 Comments also frequently mentioned support for increased SRO presence and improved school safety infrastructure (eg. bulletproof glass, door locks, intercoms, panic buttons, use of retired military and law enforcement, and cameras). 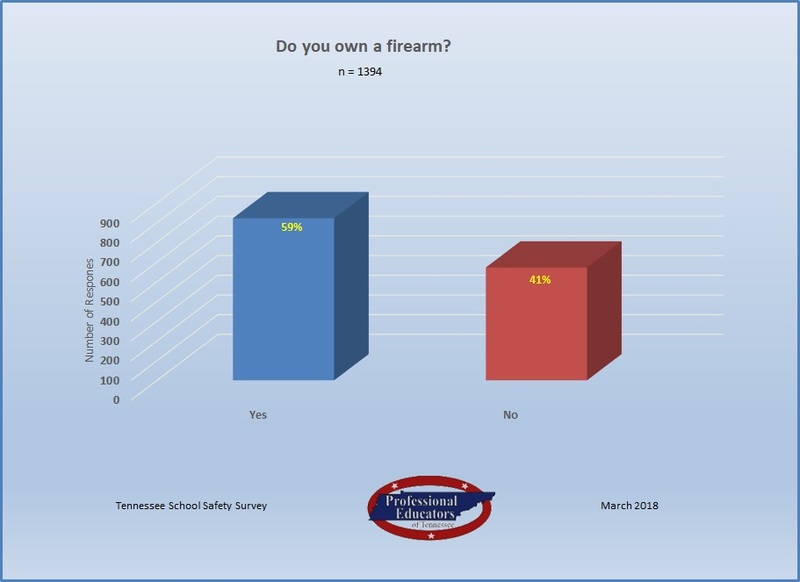 There was both strong opposition to and support for allowing educators to carry firearms in schools.The entire comments section is available for download here. Comments are unedited except for the removal of identifying district or school information.